So I've been working as a contractor on a game project for a local company. Everything about the game was ripe for a NES port, so as a weird joke, I decided to demake it for the NES. Tada! I think it turned out pretty good. I don't really want this to show up on Google (yet) since the game it's based on won't be released for a while. 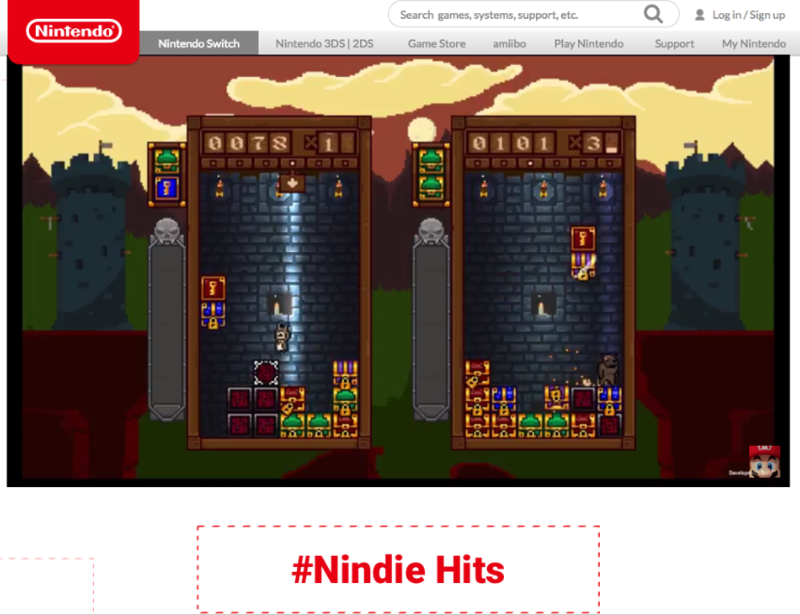 We want to have some fun with using the NES version as a marketing gimmick, and I don't want it to pollute search results for the actual game before it's even out. Gernfher Fgnpx in rot13 if you really want to know, just don't post it in plaintext please. Last edited by slembcke on Fri Aug 24, 2018 9:21 pm, edited 5 times in total. You end up in the wall for a bit, but it's not long term game breaking so it might be fine. Edit: An "advanced technique" in this game is stealing a key from a same color key and chest block while it's still airborne so it doesn't auto open on landing. Hitting Turbo A makes you jump higher for some reason? Hmm. That I might want to look into. That sounds much easier to exploit. Especially as Tetris DX for Game Boy and Game Boy Color has a similar wall climbing issue. Could you paste the official product's name "encrypted" with ROT13? Usenet users used to do that for media spoilers, and it should keep this topic out of web searches for the official product's name. Or would that put you in legal trouble? It's not a secret that I'm working on the game with them. They've mentioned me in their official Twitter feed. The existence of the NES version isn't really a secret either, but I was hoping it could be a fun marketing stunt or something. 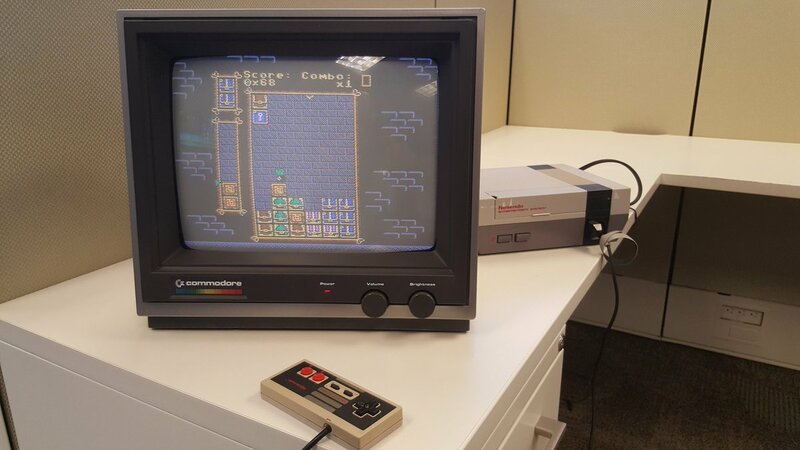 I finally got a NES for myself so I can stop borrowing one for testing. Other than a fixable known issue with picking up large stacks and running out of vblank time it seems to run great. 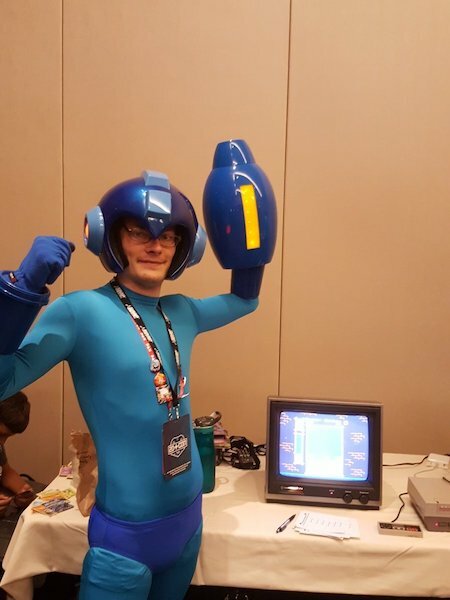 The guy that composed the music for the original game was hoping to have time to throw a tune together for it before the convention on Thursday. If not it should still be a pretty amusing attraction. edit: Hah! This just keeps getting better. Somebody at the office collects old computers and just happened to have a Commodore monitor in their car. I never got around to posting the final version we had at 2D Con, so here it is! Has some music (done by Troy Strand), and the rest of the UI in it. Otherwise basically the same. Reception at the convention was pretty good. A few people thought it was really great, so that was fun. Last edited by slembcke on Tue Aug 28, 2018 8:08 pm, edited 1 time in total. Hey! So I guess it's been officially announced. 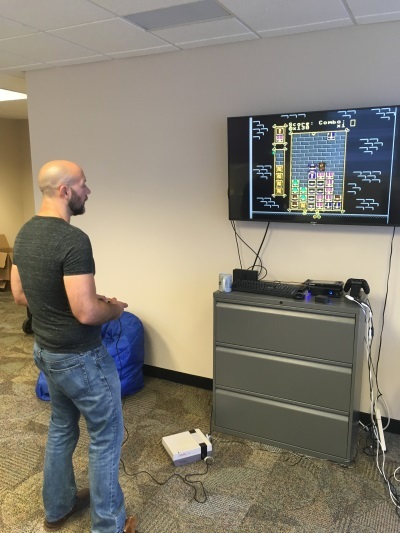 My business partner and I were brought it to help get it running on more platforms, and implement the cross platform net games. 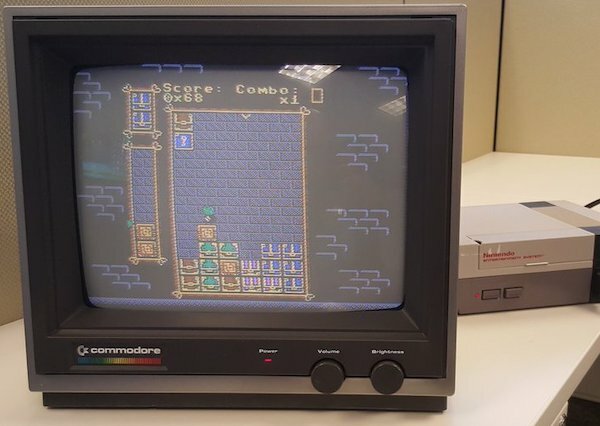 The link above (http://files.slembcke.net/temp/TreasureStack.nes) is dead. It throws 404. Oops. I thought I replaced that with the link for the final version. Use the link in the first post.